Prime Time Prayers for Children is a collection of traditional and contemporary prayers, meditations, and reflections for use in helping children remember the presence of God. 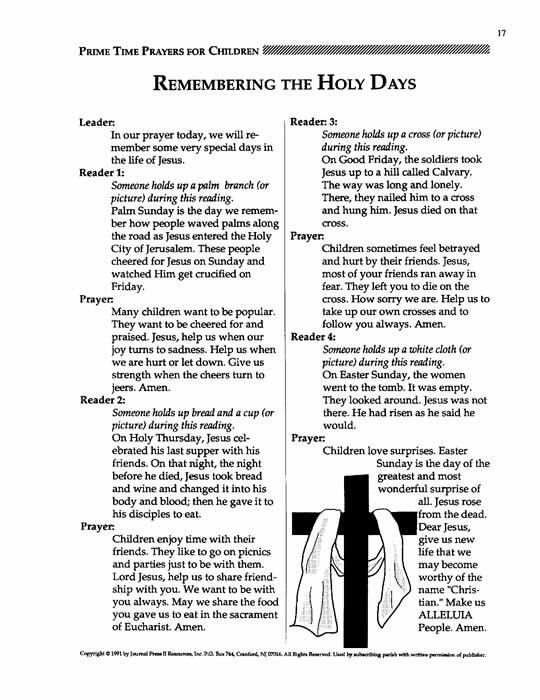 Some of the prayers can be taken home and shared with family. Others are good for personal prayer reminders. 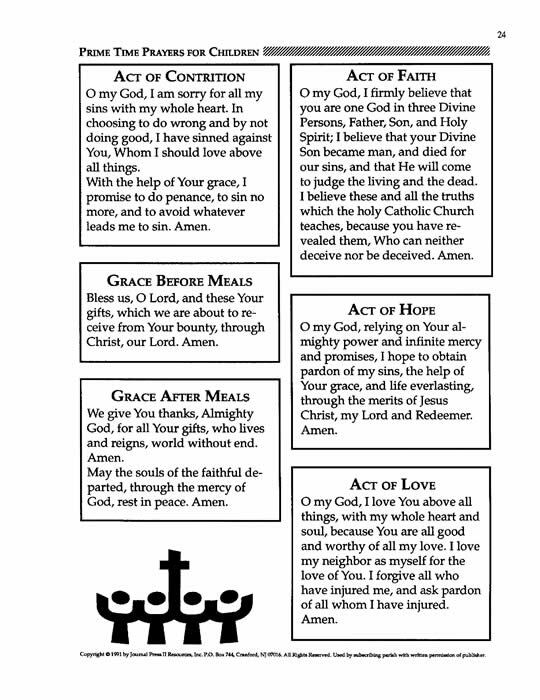 The last pages contain traditional prayers that can be duplicated on heavy stock paper and used as prayer cards throughout the school year. Your purchase (below) will enable the placement of the PrimeTime Prayers for Children MasterSet PDF on your computer. You will receive an e-mail to enable your immediate download for the set.